Hey everyone! Heather here. I don’t know about you, but our Christmas decorations are up, and we here at PGI are ready to celebrate the holidays with family, friends, and all of you! Jordan, our assistant director and historian, has written an awesome article about the Victorian tradition of telling ghost stories at Christmas. We hope you enjoy it as much as we are enjoying the snow falling on our fair city. If you’ve listened to Christmas music in the past–and how could you not, it is almost unavoidable in the months of November and December–you have more than likely heard the classic The Most Wonderful Time of the Year by singer Andy Williams. The song is happy, joyful, and meant to get one into the spirit (No pun intended. Or, you know what, pun intended. Your choice.) of the holiday. But there is a line in that song that seems out of place. “There’ll be scary ghost stories…”. Huh. That is an odd line to put in a song about Christmas, right? Ghost stories? Shouldn’t the song be telling us about Santa Claus, Christmas trees, a reindeer with a red nose, or even a snowman with a magical top hat? The song, written in 1963, is over 50 years old at this point, and as with many other things from the past, it does not offer up much historical context. So of course with the contemporary ears of today, the line does seem out of place. However, believe it or not, the ghost story is a Christmas tradition made popular by Victorian England. Why did the Victorians tell ghost stories around Christmas? Well, to answer that question, we have to get to know the Victorians. Who were the Victorians? The title “Victorian” most commonly refers to people who lived in England under the rule of Queen Victoria in the 19th century from 1837-1901, but the phrase can also be used to refer to much of the western world of that time. So, why were the Victorians interested in ghost stories, and also, why during Christmas? Well, that questions has a few answers. As mentioned above, when you hear Christmas, a ghost story is not typically the first thing that pops into one’s head to describe the holiday. 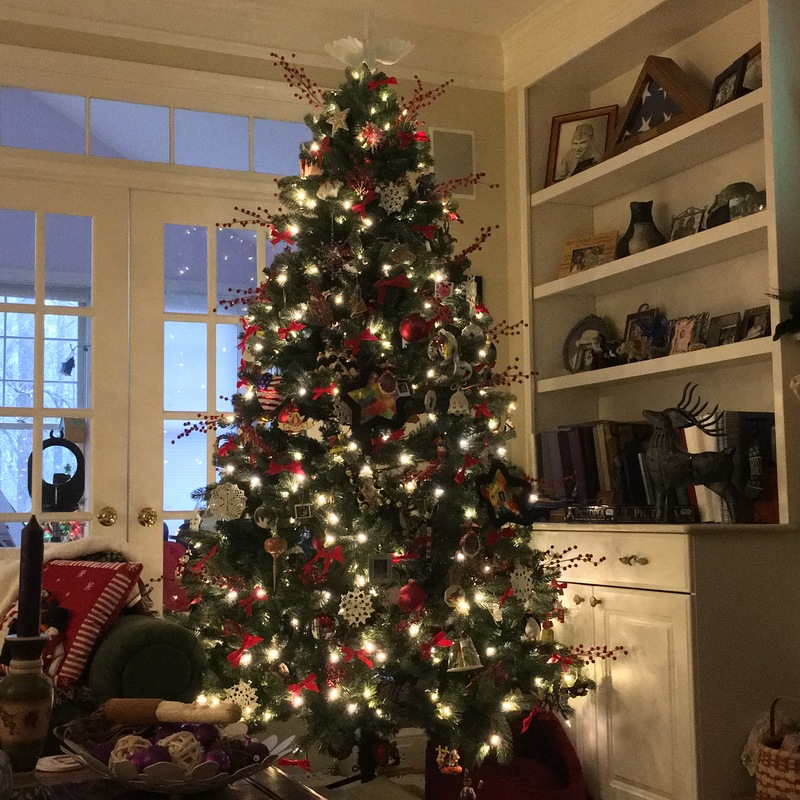 We have Christmas trees (rooted in older more ancient traditions, but made popular by Queen Victoria and her Germanic husband, Prince Albert)4, Christmas carols (again, older roots, but popularized in the Victorian era)5, the modern Santa Claus (found in ancient traditions, but again, primarily a Victorian idea). Are you starting to see a theme here?6 Christmas movies, snacks, feasts, etc. The list could go on and on. But ghost stories? As it turns out, the end of the calendar year was considered a scary time for the ancient people of northern Europe, including the Celts and the Norse, both of whom have winter celebrations. The Celts celebrated the winter solstice, whereas the Norse celebrated what is known as Jul, or Yule. At the end of the year, the nights started to get longer and longer and the Norse believed that during this time of prolonged darkness, spirits would roam the countryside and forests and, on some occasions, Odin himself would come and beat you.7 To combat the uncertainty of the darkness and unknown at this time of year, the Norse would gather inside around the Yule log were they would eat, drink, and be merry (Viking parties, anyone?). It was their attempt at using the light of the fire to push back the darkness.8 This idea of the encroaching darkness has been around for ages and the Victorians were no different. Christmas is celebrated roughly around the same time that the Norse would have celebrated Yule, so this idea that there is uncertainty in the prolonged darkness of night was something of which the Victorians were well aware. It was the beginning of winter, things in nature were dying off only to be reborn in the upcoming spring. Death was on people’s minds. This made the winter and the end of the year a time of reflection for many, which still continues to this day. Primarily, the people of this era in England were very religious and the Catholic Church, at the time, taught people that ghosts were disturbed spirits trapped in some form of purgatory, while the Protestant Church taught that ghosts were there only to deceive people.9 Also at this time, scientific discoveries were making leaps and bounds about how the world works thanks to contributions of scientific researchers like Charles Darwin.10 So, people were caught in this tug-of-war between the religion that they were born into and these new scientific discoveries that questioned all of what they thought they knew. Whether their story ended up being a hoax or not isn’t what’s important. What is important is that people thought (and still think) that contact with the other side could be a possibility. This led to an influx of people claiming to have mediumship-like abilities, a medium being one who claims that they can make contact and/or speak with the spirits of the deceased. Parties and get-togethers would take place and it wasn’t uncommon for a medium to be hired to come and hold a séance–which comes from the French word for “session” or “a sitting”–so party guests could make contact with spirits. Mediums weren’t necessarily a new idea or concept, but they became much more common as Spiritualism exploded worldwide. It is no surprise, then, that living in this world of the Spiritualist Movement, art began to imitate life. Ghost stories, fictitious or true, were amongst the most popular stories to tell during this time. Countless authors wrote many ghost stories that we still talk about today. Writers like M.R. James and Charles Dickens told tales that chilled many to the bone. It is important to know that the Victorians didn’t invent the ghost story. Tales of ghosts stretch back to antiquity. Even in the medieval era people told “Winter Tales” which had some form of supernatural aspect to them.13 But it can be argued that the Victorians perfected the ghost story due to everything mentioned above. A characteristic of the Victorian ghost story is that many of the spirits encountered are cautionary. They try to save a character from a situation or even themselves to teach them a lesson. This is evident in what is quite possibly the most famous ghost story of all time, Charles Dickens’ 1843 masterpiece, A Christmas Carol. Ebenezer Scrooge, a crotchety old man who hates Christmas, is shown the error of his ways by three Christmas spirits.14 Dickens’ story had the advantage of being both a ghost story and a Christmas story, which helped springboard this tradition during the changing face of Christmas of the Victorian era. In the midst of being a religious society, the Industrial Revolution, older traditions that were carried over or rediscovered, and the Spiritualist Movement, the ghost story solidified its status as a Christmas tradition, one that continued for the rest of the 19th century and into the beginning of the 20th century. We might not tell as many ghost stories during the Christmas holiday today that we used to over a century ago, but there are relics and memories (or ghosts, if you will) of Christmases past, such and Andy Williams’ song, that remain to remind us of the spooky tradition of the holiday.